The Island Castaways youth club opened in May 2008 and is affiliated to Kent Youth. 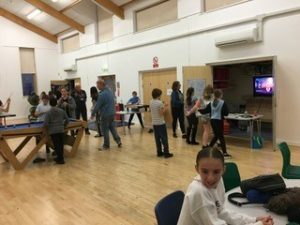 The Club meets at the Community Centre every Friday evening during term time from 7.00 to 9.00 pm and offers cricket, table tennis, pool, karaoke, a craft table and tuck shop. Other activities include discos, theme nights, sports and dancing sessions with professional trainers. The Club invites all children starting Year 6 at the Island School or who live on the Island to become Members and meets most Friday evenings at the Community Centre between 7 pm and 9 pm during term-time. 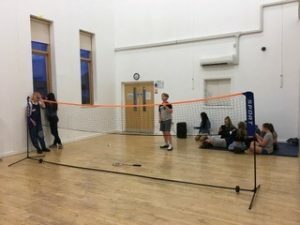 The club currently has a membership of almost 60 children, between the ages of 10 and 13 years and has 30 volunteers who each try and attend one Friday night a month and more if they feel able. Just go along and see what’s on offer. Parental Consent forms are required after the first attendance. The Club is run by a small number of CRB checked volunteers of all ages and always seeking further volunteers. If you would like to give something back to the community, please call David Taylor on 893447. The Youth Club is dependent on getting enough regular volunteers who can give one Friday night a month from 6.30 pm to 9.15 pm to add to the existing volunteer list. With new volunteers and a new Club Leader, Rodney Parr, the Club re-opened on the 16th September 2016. Rodney is committed to maintaining the success of the Club for the immediate future and beyond. A “Street Dance” evening and a Shoe Box Appeal, through Medway Sunlight Rotary, for “Children in Need” took place in November 2016. More recent events include Nerf Gun Wars, Circus Skills and Cheerleading and a lot more is planned for the future. Since the Club has re-opened it has raised almost £100 for Children in Need and more recently over £120 for Red Nose Day. If you would like to try a taster session then you can go along on one of the dates below; you would be most welcome. In addition to financial assistance from the Trust, the Club has received funding from Ward Councillors and a grant from “Street Cops” fund through the local PCSO. Volunteers are required to help to set-up equipment and keep a watching brief or they can get involved if they wish. If you can give some time to support the Club please call David Taylor on 01634 893447 or email taylordj@blueyonder.co.uk. 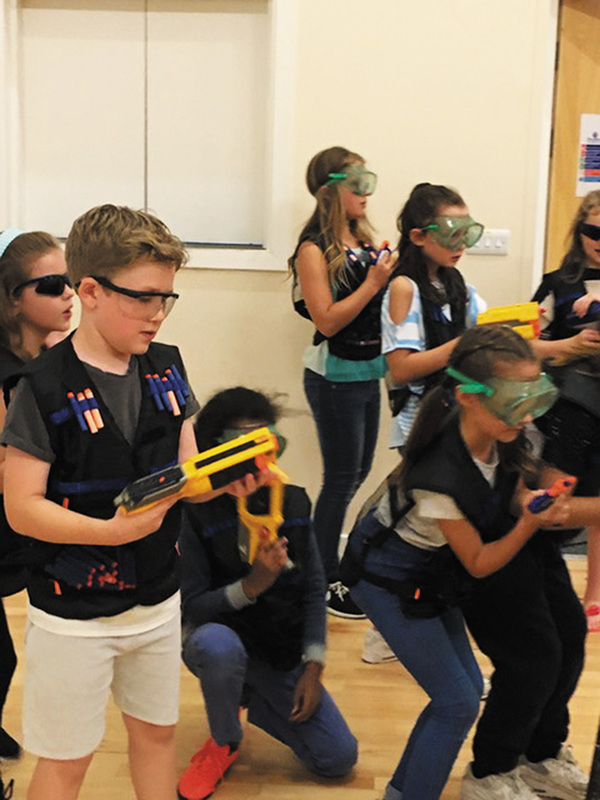 The Club’s Nerf Gun War evenings have been great fun and plenty more is planned for the future, i.e. volleyball sessions, Zumba and street dance. On the 23rd March 2018 the Youth Club focused on raising funds for Sport Relief / Red Nose Day and made a total of £213.17 which went towards various projects tackling important social issues. Members are reminded to take their Membership Cards with them on every visit as the Club is now charging for the issue of new ones. The sooner the formal process is completed the sooner the fun can start. If you don’t have your card with you then you may be refused entry to the Club. This is the only proof of who you are and the fact that you have a card tells the Club that you have received, agreed and signed up to the Club Rules and Codes of Behaviour. Members are reminded that when they joined the Club they signed up to the Club Rules and are asked to adhere to these so that everyone has a good Club experience. On Friday 23rd November 2018 the Club’s focus was raising monies for ‘Children in Need’ and the Club raised a total of £300.08 which surpassed last year’s total of £228.40. Congratulations to all those involved. The Youth Club was represented at the Community Centre Christmas Fair on Saturday 24th November where they sold sweets and drinks from the Tuck Shop and as a consequence were able to donate £40 to the Salvation Army Christmas Present Appeal. This funds buying and gving of new Christmas presents to children of all ages who otherwise may not receive any presents this Christmas. The Club will not open on the 5th July as it will clash with the School Disco. At the meeting on Friday 1st February 2019 the Youth Club will be trialing a new arrangement with the Tuck Shop. When members visit the Tuck Shop they will be able to purchase vouchers up to a maximum of £2.00 the amount that is recommended in the Club’s ‘Joining Letter’. 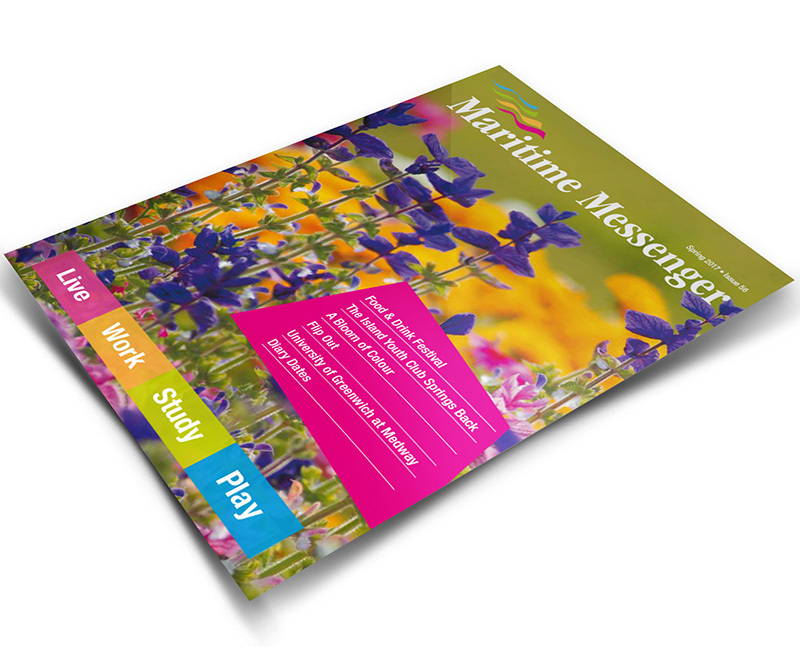 The vouchers will enable members to purchase as much or as little on the might to a maximum of £2.00 and any vouchers that are not spent an be taken home and used again the next time they visit the Youth Club. The club will not be keeping a record of what is carried over so it is up to members to manage their expenditure from visit to visit. It would be helpful if members could take along the correct money for both registration (£2) and the Tuck Shop Vouchers (£2). Note: There is no obligation for members to purchase any vouchers if they do not wish to. This is a trial so tweaks may be necessary. The Youth Club is also doing its bit to improve the health of its members; to cut down the sugar intake of members the Club will be offering ‘sugar free’ drinks from now on. In 2017 St. Mary’s Island Primary School kindly agreed to allow the Club to have access to their playing fields on Friday evenings and this was fantastic and greatly appreciated by all. 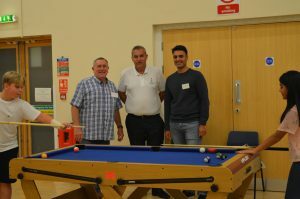 In 2017 the Club had an application to ‘the Streetcops Trust’ for funding approved which enabled the purchase a fold away snooker and pool table together with some new electronic games. This was presented to the Club by Alan Parfett from Streetcops Trust on Friday 8th September. The photograph shows Youth Club Secretary, David Taylor, Alan Parfett from Streetcops Trust and Gubs Samrai Youth Club Honorary Treasurer.